By administrator in IMC Exploration Group (IMCP) on 7th December 2015 . Pt 7 – The likely source of gold lies in the mountain’s quartz vein. When work resumed in September 1800, First Lt Weaver came into his own. The Commissioners now recommended to the Government that work be extended beyond the simple collection of alluvial gold to include a search for any gold bearing veins in the bedrock. The Government, like any government might do, had finally abandoned any pretence that it was focussed only on preventing the assembly of mobs. Let’s go for gold! 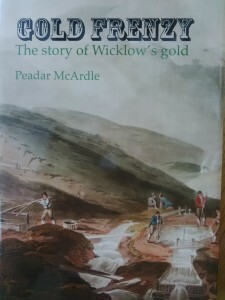 Weaver worked on the assumption that the alluvial gold would be sourced in quartz veins on the higher ground surrounding Croghan Kinshelagh Mountain. 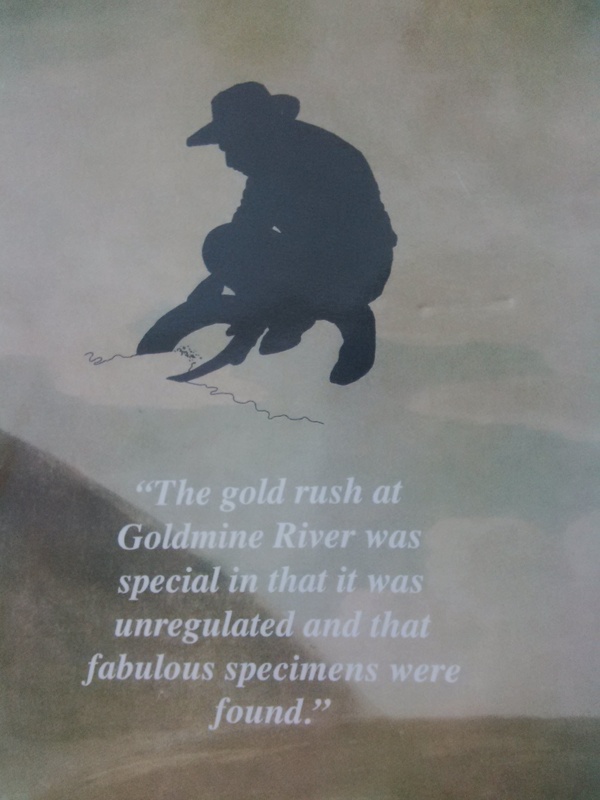 In their report, the Commissioners described the progress of the workings and the weight and value of gold recovered in considerable detail. They also investigated reports of gold occurrences in all neighbouring streams and recorded their relative success. Because gold sometimes adhered to quartz, they concluded that quartz veins were the source of the gold – and very likely some of the many such veins occurring on Croghan Kinshelagh mountain itself. The workings were not without their own tribulations, for the authors reported that their utensils (at Monaglogh): “were destroyed by some persons unknown, for the discovery of whom a reward of 20 guineas was offered without producing the desired effect and the trial was not resumed.” While minor compared to the events of May 1798, clearly the neighbours had not entirely acquiesced in their imposed state of inactivity. Convinced that a viable bedrock gold source lay in quartz veins on the higher slopes of Croghan Kinshelagh, the Commissioners proposed to continue working the river bed, opening trenches and even tunnelling until this idea had been fully tested. Indeed they had one daring if risky idea: to open a tunnel, at right angles to the principal direction of the veins, straight through the mountain at the highest level where gold had been discovered in the river bed. While the other proposed workings could be relied upon to produce a profit, this new concept was much more risky. In considering the programme of work recommended by Abraham Mills and co-workers, the Government had the weighty views of eminent scientist and President of the Royal Irish Academy, Richard Kirwan. In his report, published as an appendix to that of Mills and co-workers, he was complimentary about the operations themselves: “As to the method of extracting gold from the sand, none, I believe, can be more ingeniously contrived nor more successfully applied, than that employed by Mr Mills. The real interest, however, would have been his views on the source of the gold, the future of the operation and especially in the proposed tunnel. He did not disappoint. He agreed the likely source of gold lay in the mountain’s quartz veins but concluded that the gold was derived not by modern river action but “by ancient inundations; I say ancient, because modern inundations convey none, as Mr Mills (at my request) having tried has experienced.” Modern rivers, in his view, did not have the power to move downstream nuggets of the sizes known from Goldmine River. He was not averse to prospecting on a limited scale being undertaken in the upper reaches of the various streams and ravines. But as to the idea of driving a tunnel straight through the mountain to the other side, well he was very cautious. This must have been sweet music to the economical ears of those in HM Treasury! Nowadays a cost-efficient set of boreholes would be attempted, but that option was not available to Weaver and tunnelling techniques were primitive, slow and expensive. Kirwan appended a later note (dated 1 October 1801), after the mountain had been surveyed, indicating the proposed tunnel would be 8,862ft (2.72km) in length. He concluded, “The expense I cannot estimate” – another damning uncertainty in the eyes of HM Treasury. The tunnel was never driven.